One thing I am sure, is not being a lipstick person. It's not that I do not like the colors or the lipstick itself, I just do not think I look right with it on. I see a lot of videos and blogs talking about different lipsticks and I'm like those colors are gorgeous. But it probably will not look the same on me. About two weeks ago I went to Walmart, I wanted to get new nail polish but I ended up getting lipstick. Like I said before I do not wear lipstick, I wear lipgloss or chapstick. So anyways I was in the lipstick section for a while. They had so many pretty colors and I chose red. I guess I chose this color, because its very popular! 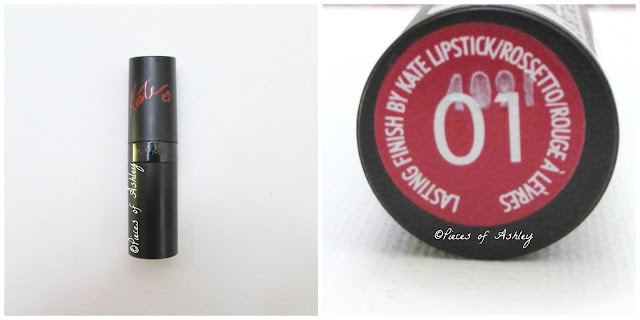 This is a Rimmel London lipstick created by Kate Moss. This is the first time I have tried their products and I must say I am impressed! This is the 1st lipstick collection created by her and it's exciting. Kate Moss is a fashion model icon, so this inspired me to get the lipstick. The Lasting Finish collection comes in 9 different shades. This lipstick is supposed to last up to 8hrs., which sounds good. This is a matte lipstick and it costs about $5. 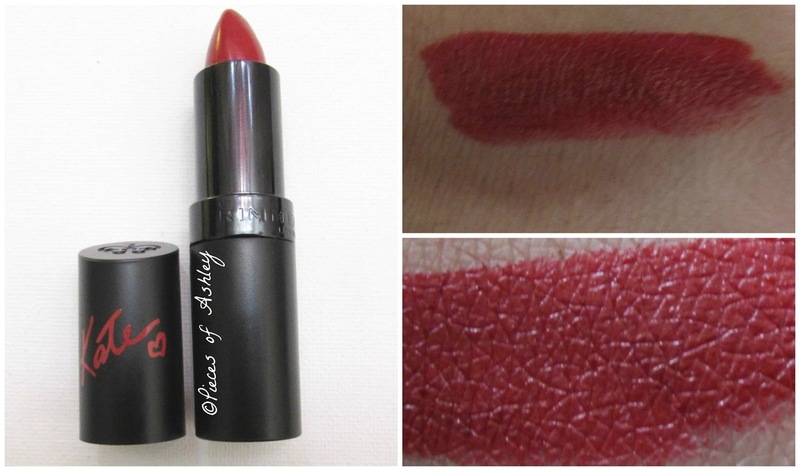 This is a gorgeous red and it is very pigmented which is very good, because it will show up on the lips immediately. This is a bold color. It's the pop of color that makes a statement. As for a makeup look I would for a more settled, only if you want the lipstick to be the star! I have tried this lipstick on and it a very pretty color, but because I am a first time lipstick wearer it is going to take some time to get use to it. I hope you enjoyed reading! What lipsticks/brands do you like and/or recommend? Yeah, I think I might go for a darker shade from that line. Very beautiful! I would definitely recommend it! thx for your comment, you have a great blog too dear! !